Even forty years after the civil rights movement, the transition from son and grandson of Klansmen to field secretary of SNCC seems quite a journey. In the early 1960s, when Bob Zellner’s professors and classmates at a small church school in Alabama thought he was crazy for even wanting to do research on civil rights, it was nothing short of remarkable. Now, in his long-awaited memoir, Zellner tells how one white Alabamian joined ranks with the black students who were sitting-in, marching, fighting, and sometimes dying to challenge the Southern “way of life” he had been raised on but rejected. Decades later, he is still protesting on behalf of social change and equal rights. Fortunately, he took the time, with co-author Constance Curry, to write down his memories and reflections. He was in all the campaigns and was close to all the major figures. He was beaten, arrested, and reviled by some but admired and revered by others. 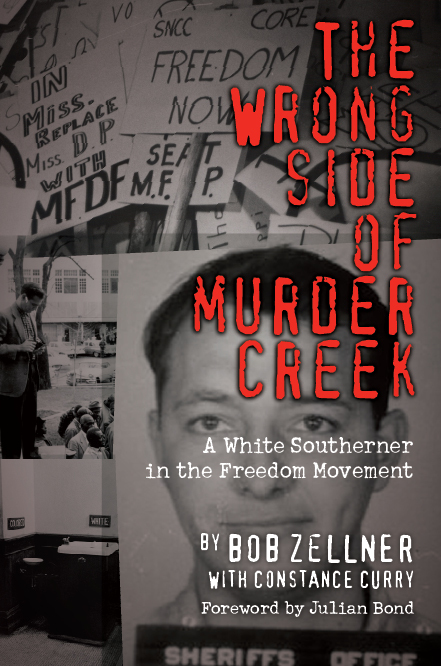 The Wrong Side of Murder Creek, winner of the 2009 Lillian Smith Book Award, is Bob Zellner’s larger-than-life story, and it was worth waiting for.